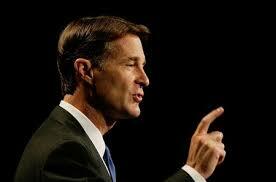 Bayh sends $1 million to Ellsworth……. Ellsworth could sure use the money…..
“This is a million-dollar vote of confidence in Brad Ellsworth and Indiana Democrats,” Bayh said in a statement released by the Indiana Democratic Party. Bayh is actually sending the $1 million to the Indiana Democratic Party (IDP), which will spend the money on Ellsworth’s behalf. The Indiana Democratic Party called the donation “the largest by an individual not on the ballot,” and Meredith McGehee, policy director of the Campaign Legal Center, likewise said she could not point to a larger contribution in recent memory. Bayh will announce the decision at a press conference later today. He was first elected to the Senate in 1998 and was re-elected easily in 2004. National Republicans had recruited former Sen. Dan Coats to challenge Bayh in 2010 although polling suggested Bayh began the race with a 20-point edge. He also had $13 million in the bank at the end of the year. 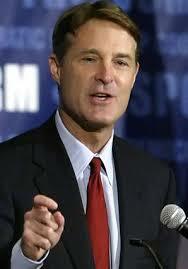 Prior to being in the Senate, Bayh served two terms as governor of the Hoosier State. He also served briefly as Secretary of State. This is great news. 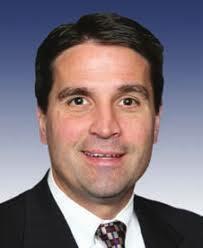 Now if the GOP would coalesce behind former Congressman John Hostletter, that would be great. Possible Democratic replacements are Congressmen Peter Visclosky, Joe Donnelly, Andre Carson, Brad Ellsworth, and Baron Hill. Your thoughts. The Dog thoughts are that this seat goes from Safe democratic to ?????? Indiana Senator Evan Bayh will not run for re-election…….. The Dog wondered about the timing of this announcement….. This isn’t a DONE DEAL. Democrats MUST NOW HOPE that she can’t garner enough signatures by Friday. If she DOES Democrats can’t select a Replacement via the States Central Committee. your scenario will play out…you got it right…..
Mike Pence (R-IN) is RECONSIDERING. Come On Mike now. Run. It looks like you’ve your Candidate. According to the Evansville Courier-Press Congressman Brad Ellsworth (D-IN Eigth) is making a Statement this afternoon. Ellsworth is seen by many as the leading candidate. An aide for Ellsworth said the former Vanderburgh County sheriff and two-term House member will comment this afternoon. One possible scenario could involve Ellsworth running for Bayh’s Senate seat and Democrats choosing Weinzapfel to replace him for the House. Weinzapfel is the Mayor of Evansville and would likely be the Favourite to hold Ellsworth’s House Seat. From Merlin….The GOP can't find someone to run against Sen. Evan Bayh (D-Ind)……..
Republican NRSC Chairman John Cornyn (R-IN) has been dealt another Setback in expanding the Senate Map for Republicans. Secretary of State Todd Rokita who mulled over a Senate Challenge to Senator Evan Bayh (D-IN) chosed instead to run for the 4th Congressional District Rep. Steve Buyer (R-IN 4) is vacating. From Merlin….The GOP can’t find someone to run against Sen. Evan Bayh (D-Ind)……..